The Fast, Convenient and Low-emission Way to Find Parking Spaces. Being able to find and navigate your way to a suitable vacant parking space in todays' crowded urban landscape can be stressful and takes too much time when you just want to get to where you want to be. 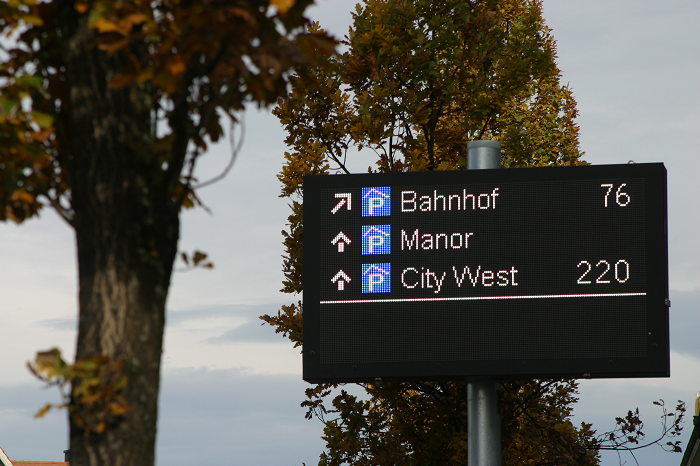 Providing data and clear signage to the nearest car park and information on the number of available parking spaces on-street and off-street are key to reducing search time for vacant spaces which consequently leads to a reduction in traffic volumes, emissions as well as helping to reduce noise and sound pollution. SWARCO’s Parking Guidance Solutions are created from a number of building blocks. You can take each block on its own or alternatively create a complete, integrated solution using more of them. This forms the core of our solutions and is either deployed as a cloud based hosted solution or on local servers according to your requirements. Although the software is hardware neutral, which means you could use existing in-field detectors, we can also provide the software as a complete turn-key package. 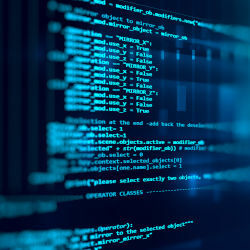 The software collects data from the on and off street environments, distributes the data to signs, allows the operator to configure or reset signs and provides data that can be used for reporting and statistical analysis. To accompany SWARCO’s powerful software service we also supply the detection technologies that indicate if a parking bay is occupied or not. 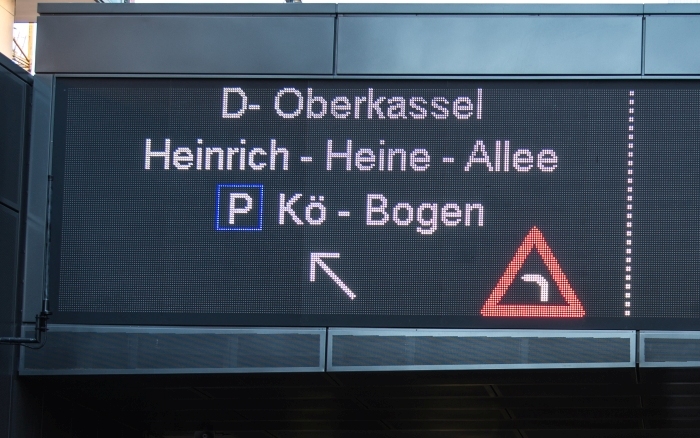 The data can come from many sources, but once it has been collected it can be shared with 3rd parties or used to provide the content for signs on the highway, at the entrance to car parks or within the car park to help guide you to a specific level or even a specific bay within the car park. 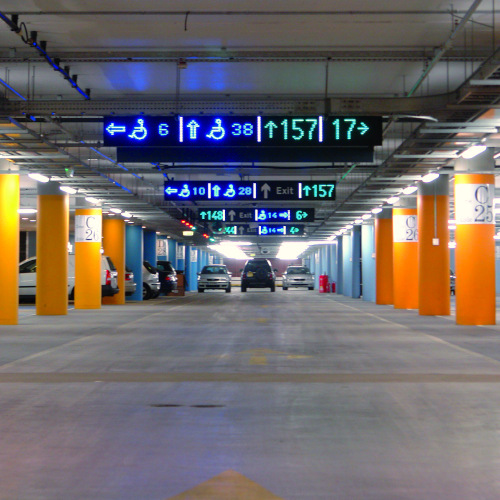 For car park owners who want to take the integration concept even further, it is possible to integrate lighting, pedestrian movement sensors, parking management system and the building management system to help reduce the overall energy consumed by the facility saving as much as 80% of the energy being used by the structure. No-one starts and ends their journey in a car park. Finding a car park spot where you want it whether it is right next to your destination or if is part of a multi-modal journey can be a very stressful part of any trip. Information about where there are parking facilities and the most likely areas where there will be free space at the time best suited to the individual traveller requires accurate data on space availability. Once the city has the most accurate data to hand, this can then be communicated to drivers in any manner of ways from physical signage, web services, embedded in an APP or fed directly to the vehicles through the on-board navigation system. City authorities have to ensure that all road users have the right information available to them to make informed decisions about where to leave their vehicle when they finally reach their destination. Information on available parking spaces can, of course, be fed directly to the driver through their navigation APP or on-board system, but today these systems also need to be supplemented with additional signs. Signs can be used as part of a city-wide scheme, or airport approach road – here they might just lead the driver to an area of the city or car parks where there are spaces available or inform them that a car park is currently closed. 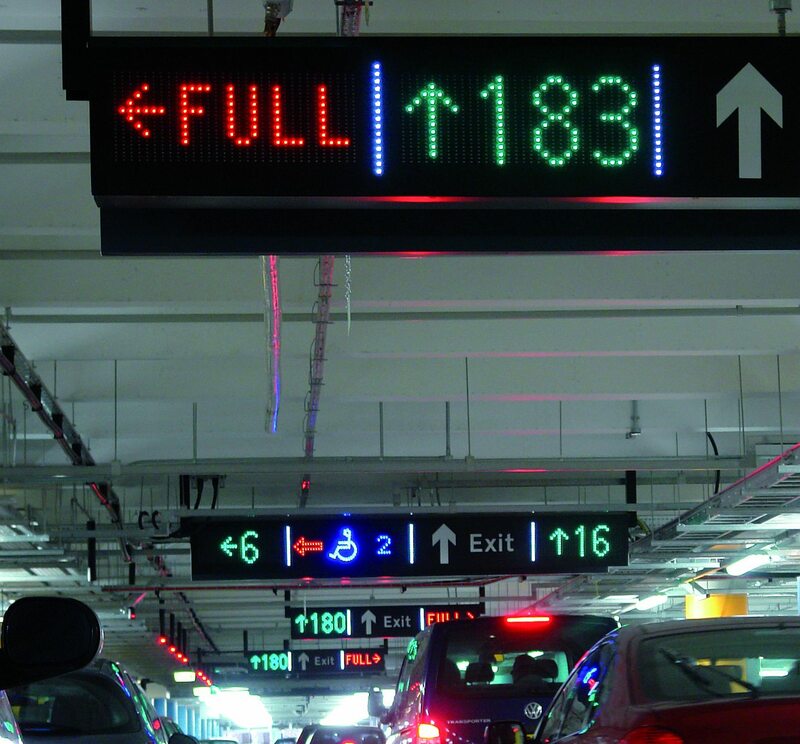 As the driver moves closer to their final destination the signs can begin to show more detailed information, from just ‘spaces’ to highly accurate information about the number of free spaces on each level of a multi-storey car park. Showing the way to the next vacant parking space should follow a holistic approach. No matter if on-street or off-street parking is preferred, the best way to manage parking is to connect a whole city or area compared to creating isolated applications. 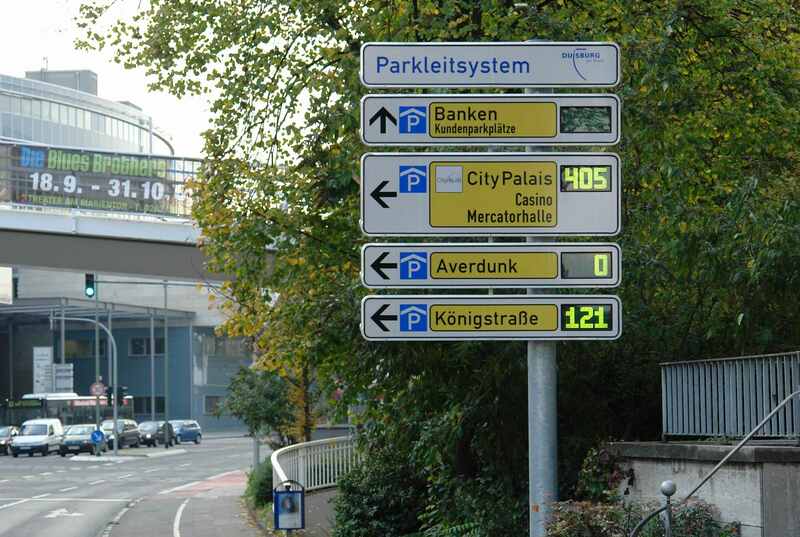 SWARCO has implemented major city-wide parking guidance systems in Germany and the Netherlands. Moreover we have supplied systems to guide the traffic for many cities in the UK, for major shopping centers as well as number of airports throughout the Nordics. Finding a car park close to a destination with free spaces is a key element in the journey. For a first time visitor, or a visitor with special needs, knowing there is a free space somewhere in the car park is not enough. 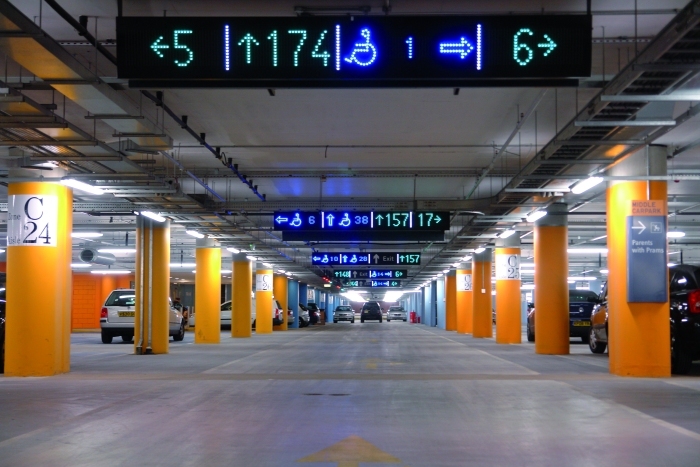 It is easy to get lost in a car park so many car parks combined single space detection systems with clear, programmable, way finding signs that ensure the driver can move quickly from the entry lane, to the best level and finally a specific bay as quickly and smoothly as possible. Car park operators can then make use of the data such systems generate to guide lost customers back to their car, to ensure that enough special visitor bays are available and to improve the flow of traffic around the facility all of which ensures that the effects of pollution inside the structure are reduced as much as possible.